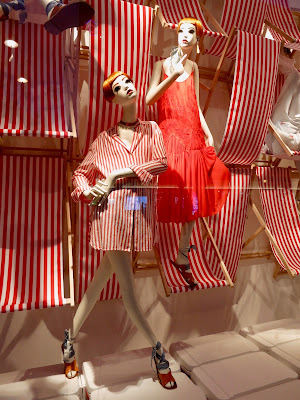 As most of London's stores are bathed in Red and White graphics and we have moaned a little about the current lack of innovation, at least Zara have made an effort which is much appreciated. 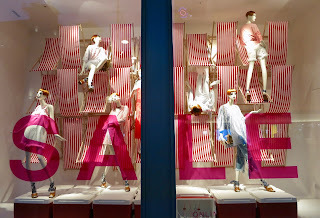 Sale windows are so under utilised and so few retailers tend to use this period as an opportunity to produce something creative. However, just look at this scheme. 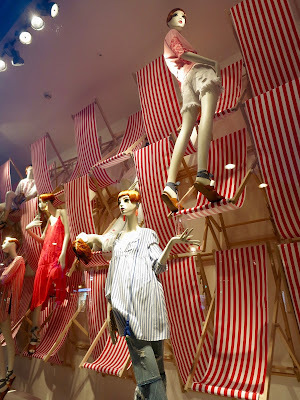 A sea of Red and White deckchairs complete with ice boxes fills this stores windows on the corner of Bond and Oxford street.